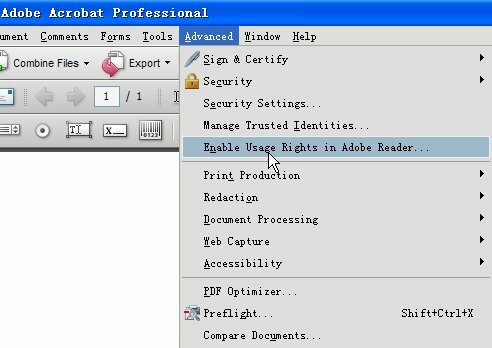 thanks for Robert R. Boerner, he is the first customer of my Batch “Enable Usage Rights in Adobe Reader”. it bases on Adobe Acrobat Professional 8.0, but it really works and save you much time if you have many PDF Form to convert to let Adobe Reader can fill, comment, digital signature a PDF and save it. So Robert said”Thank You — Thank You — IT WORKS”. At the same time, I want to thank Robert too, he help me complete this program. One Response to "The first $100 income for Batch “Enable Usage Rights in Adobe Reader”"
Is it possible to run the tool from the command line? We have an existing process to create pdfs (java/ iText), it would be nice if this tool could be run automatically after pdf has been created.